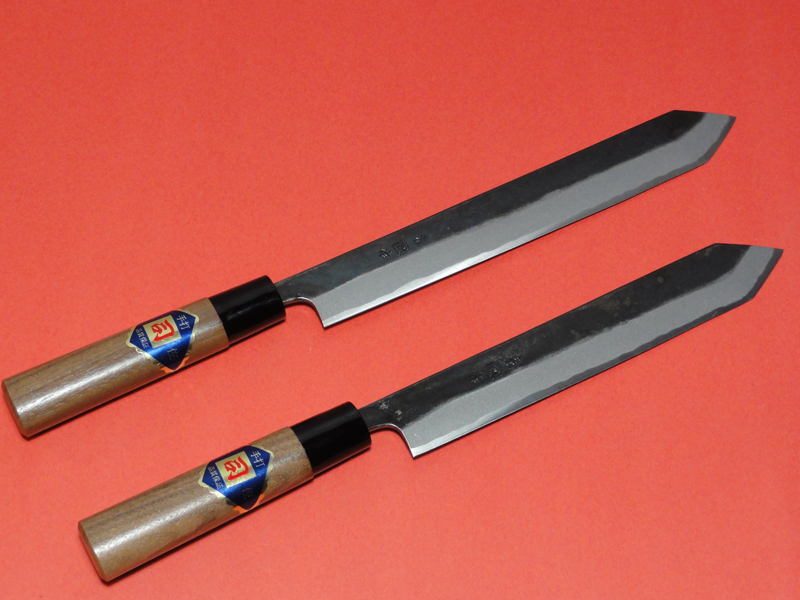 Katsuo knife is hybrid knife (combine Deba and Yanagi-ba). The blade is thin and long. 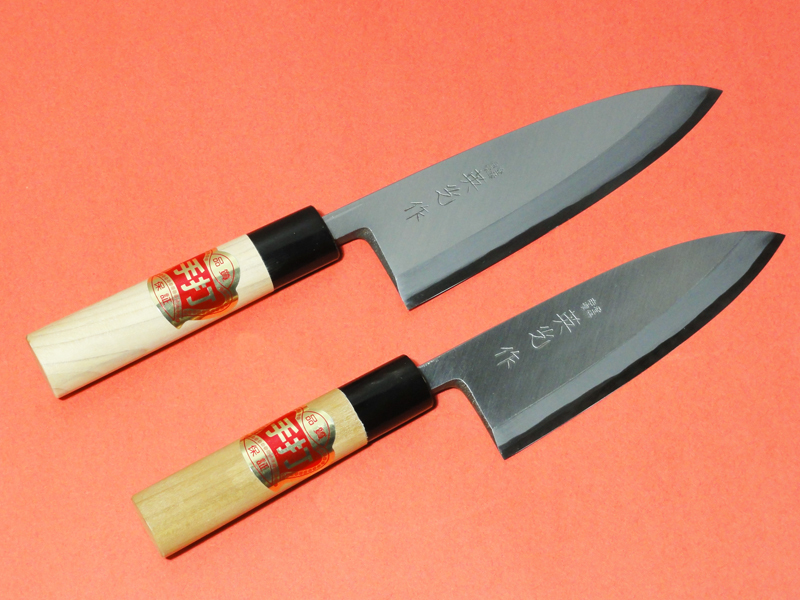 And Katsuo knife is double edge. 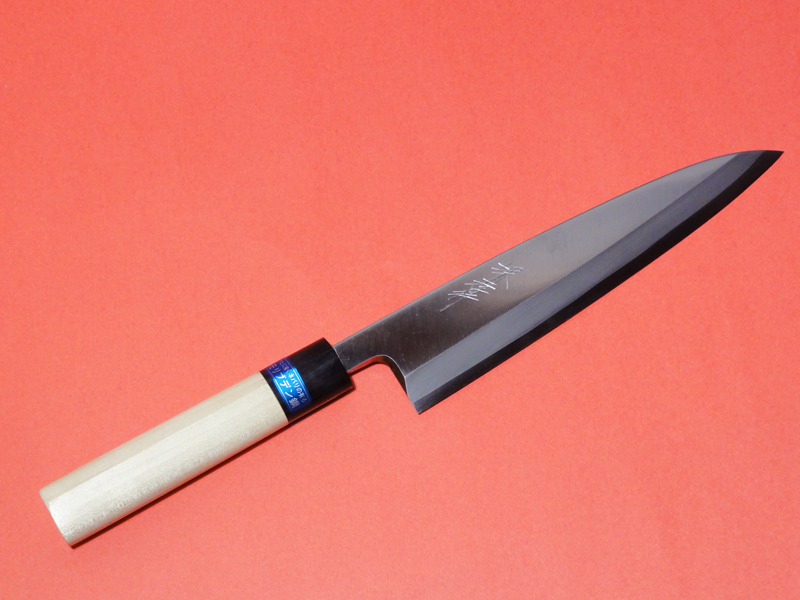 Standard definition is that the knife was specifically made for fisherman for ease of handling on the boats. 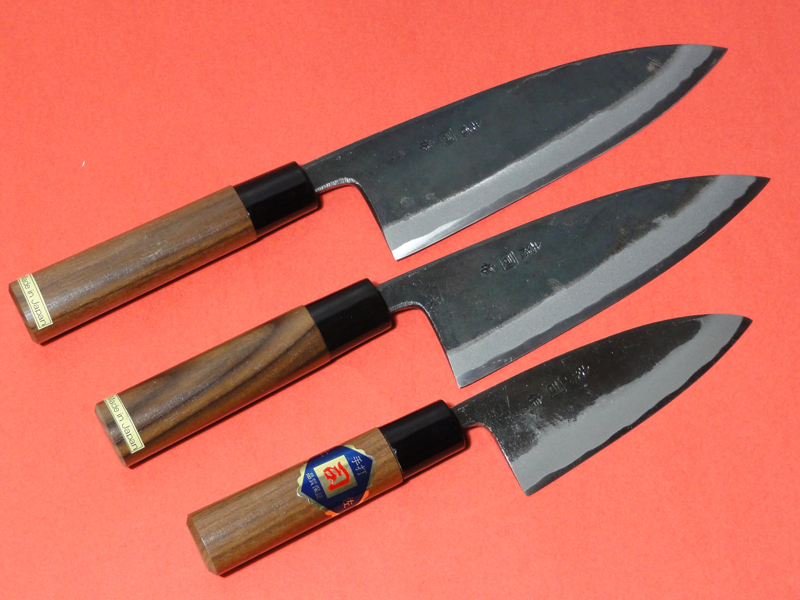 The warm color and natural grain of Walnut handle rounds off the natural pure appearance of the knife. 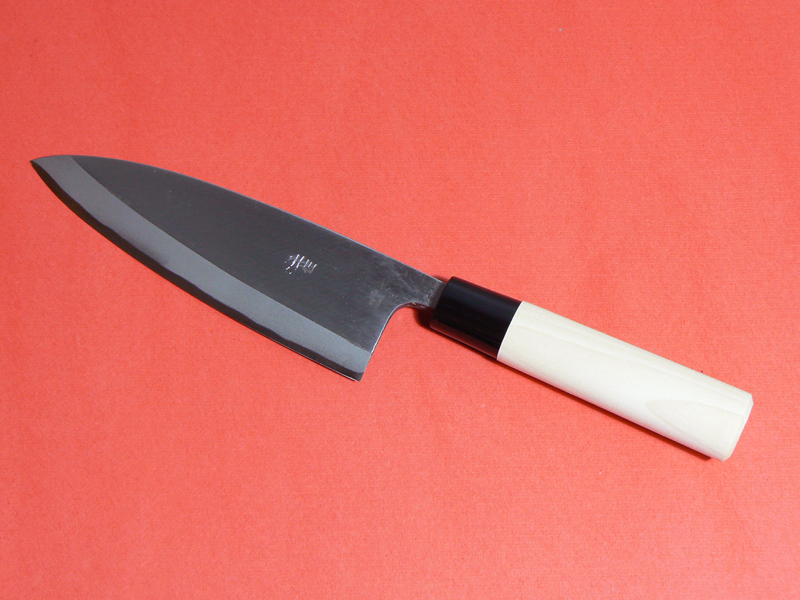 This knife is used SK Steel. Contains carbon, as well as impurities such as phosphorus and sulfur. 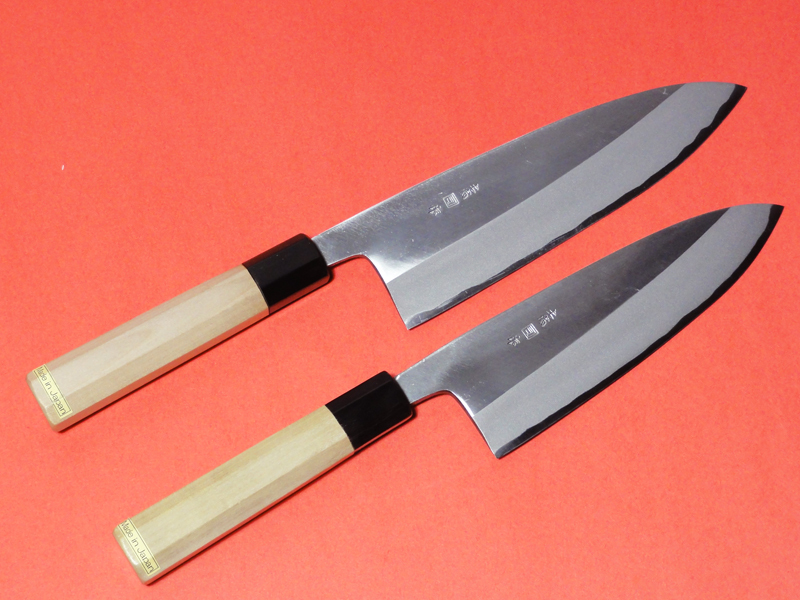 The mioroshi deba is a specialized knife that can be used both as a deba and as a yanagi knife. 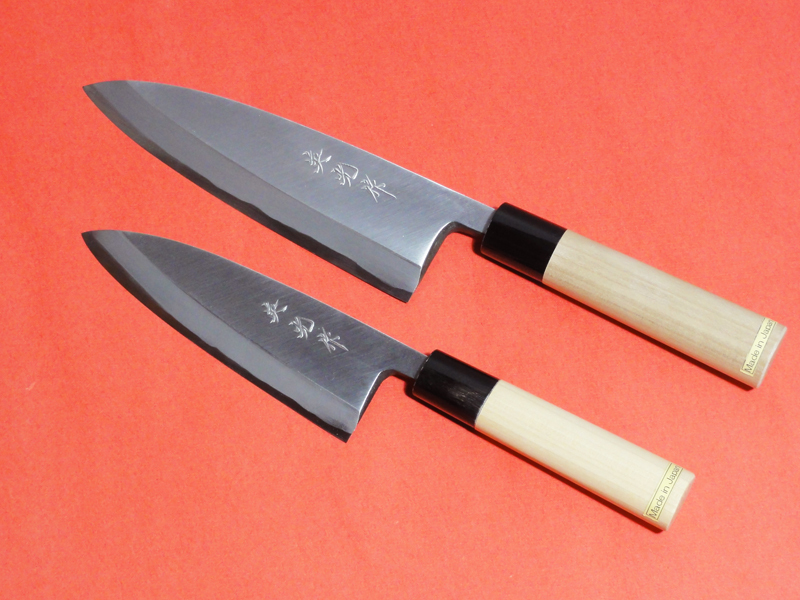 This style of knife is much thinner and more brittle than the standard deba, and therefore requires more experience and skill to fully utilize.